Having watched two of their fellow finalists rewarded for their play yesterday by travelling to training in style in sports cars, it was back to the elite surroundings of the FC Barcelona training facility for the final 100 of The Chance hoping to catch the eye of the coaching staff. If yesterday’s surprise visit to their training session by several members of FC Barcelona wasn’t enough, this evening The Chance’s 100 finalists were further rewarded for their efforts with dinner at La Masia and a tour of Camp Nou, the stadium in which those very players ply their trade. A visit to the iconic cottage of La Masia, once home to so many future stars of the Barcelona first team (including yesterday’s guests Andrés Iniesta and Gerard Pique) was the ideal setting for these young players hoping that this week sees them begin their journey into professional football. 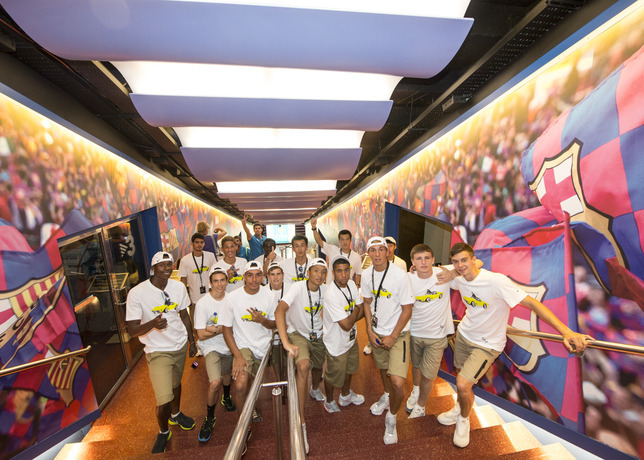 The players capped off the evening with a tour of Camp Nou and a chance for the young finalists who have travelled to Barcelona from all over the world to get an extraordinary close up look at this incredible stadium. 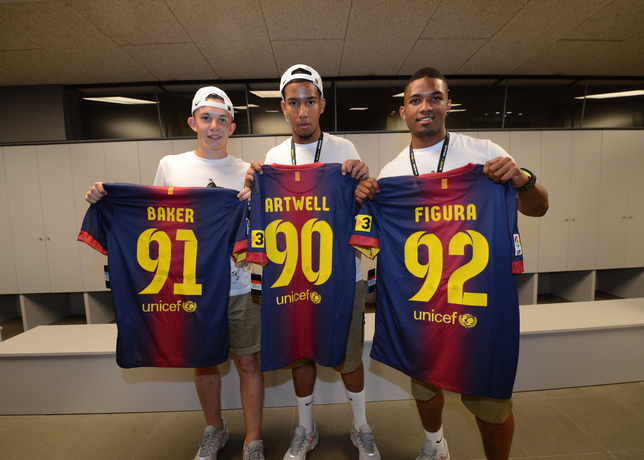 They were shown around the dressing rooms where kits with their names across the back were hung up for their arrival. Then they were able to walk down the tunnel towards the hallowed turf and of course they were shown around the trophy cabinet that today is packed with famous trophies won by this incredible football club. 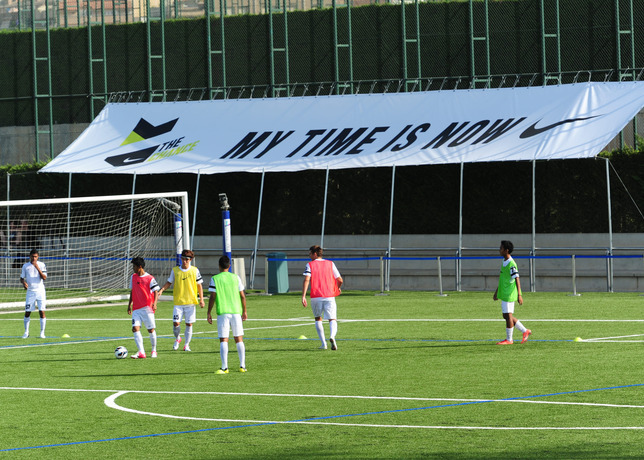 Posted on August 22, 2012, in News and tagged Barcelona, camp nou, fcb, football, Nike, nike football, soccer, tallent, the chance, training. Bookmark the permalink. Leave a comment.